is professor of modern history and director of the Holocaust Research Centre at Royal Holloway, University of London. His most recent publications include Goodbye to All That? The Story of Europe since 1945 (2014), The Liberation of the Camps: The End of the Holocaust and its Aftermath (2015) and Concentration Camps: A Short History (2017). In the history of concentration camps, there is one thing that everyone knows: they were invented by the British. 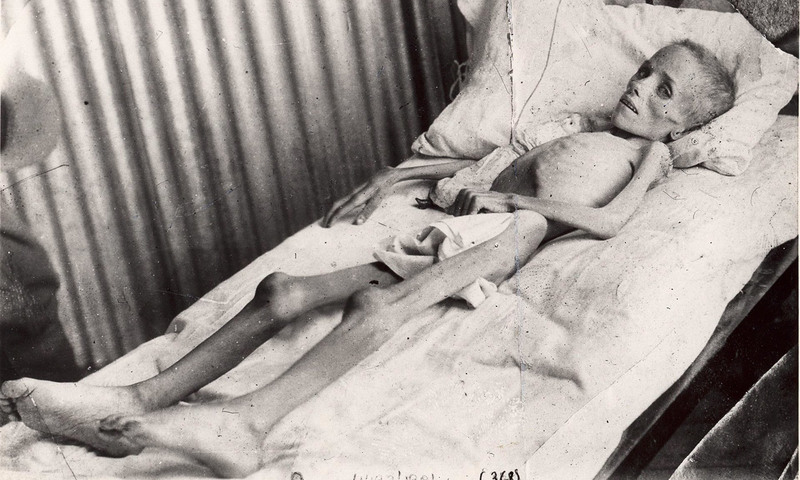 The idea of isolating unwanted population groups in purpose-built camps was implemented in South Africa in the context of the Anglo-Boer War, with horrific consequences for the Boer population. Although it would be left to the Nazis to perfect the institution, making it into one of the most recognisable in the modern world, concentration camps are the link between the Boer War and the Holocaust. This simple narrative hides a far more complex history. Concentration camps are an institution that has changed over time, with techniques of incarceration shared and spread across the world, and of brutal ‘population management’ through terror. Above all, this is not simply a history of colonial atrocity and mad dictators; rather, it is a history that takes us to the heart of the modern state. Concentration camps reveal something about the nature of states that, in an age of heightened uncertainty and rising nationalism, should give us pause for thought. Like most simplifications of history, the ‘Boer War to Auschwitz’ narrative is not wholly untrue. The British Army did indeed erect something called ‘concentration camps’ for Boers. But they also did so for black Africans, almost as many of whom were incarcerated as Boers and, unlike Boers, were subjected to forced labour. The camps set up by Herbert Kitchener did see massive death rates, at least at first, yet, paradoxically, improved conditions after the British proconsul Alfred Milner took over had the effect of ‘legitimising the camp idea internationally’, in the words of the historian Jonathan Hyslop. None of this was to the credit of the British. Around the same time, concentration camps or zones of ‘re-concentration’ had been set up by the Spanish in Cuba and the Americans in the Philippines. Moreover, many preceding institutions look in retrospect like proto-concentration camps: prisons, quarantined islands, slavery plantations, forced removals in colonial settings (such as Flinders Island in Australia or Shark Island in German Southwest Africa) and workhouses all show that the idea of isolating undesirable groups is ancient, and that concentration camps exist on a continuum of incarceration practices. If the British camps – and, increasingly, those set up by the Germans in Southwest Africa in the context of the Herero and Nama Wars (1904-07) – have been remembered as so destructive, this is because of the impact of the Nazi camps. According to Hannah Arendt’s essay ‘Social Science Techniques and the Study of Concentration Camps’ (1950), the Nazi extermination camps ‘must cause social scientists and historical scholars to reconsider their hitherto unquestioned fundamental preconceptions regarding the course of the world and human behaviour’. Or, as the historian Geoffrey P Megargee puts it in The Encyclopedia of Camps and Ghettos, 1933-1945 (2009), the Nazis’ camp system – 27 main camps and more than 1,100 satellite camps, became ‘perhaps the most pervasive collection of detention sites that any society has ever created’. This is true, yet reading history backwards and recalling the British camps of the Boer War as precursors of the Nazi camps helps us to understand neither the British nor the Nazi camps. The former were not genocidal, and the latter became part of the genocide of the Jews only late in the war; for most of the period of the Third Reich, the camp system was separate from the ‘war against the Jews’ and the extermination camps were not part of the regular concentration camp system, as Nikolaus Wachsmann writes in KL: A History of the Nazi Concentration Camps (2015). Concentration camps are not uniform in all settings and regimes; they have multiple histories. Rather than stressing continuity between British and Nazi or Soviet camps – as Arendt said in her essay ‘The Concentration Camps’ (1948), the former are only ‘apparent historical precedents’ – a more analytically fruitful approach is to examine the impact of the First World War. Here, for the first time in modern Europe, we see the emergence of the concept of statelessness, of superfluous people, of refugee camps, and the willingness of the state to incarcerate huge numbers of civilians considered threatening. From August 1914, France was placed by President Raymond Poincaré in a state of siege; a ‘state of exception’ that had been the norm in the colonies was now a technique of governance in Europe. In France, Belgium, Austria, Italy and Germany, the status of naturalised civilians was revoked for people of ‘enemy origin’. In an era before the 1951 UN Refugee Convention, this sudden condition of statelessness and the concomitant creation of refugee camps in Europe radicalised state behaviour at a time of rising nationalism, and did more to normalise the use of concentration camps than any prior colonial precedent. Why does this change of focus matter? The answer is not just that there is no single history of camps, no simple line of continuity from the colonial camps through the Nazis and the Soviet Gulag to the North Korean camp system. It is that concentration camps, seen as tools of population management in the era of the First World War and after, are instructive about the nature of the modern state. Concentration camps are an interesting phenomenon in their own right, but their true relevance lies in what they tell us about our world now. If the 20th century was, as the sociologist Zygmunt Bauman claimed, the ‘century of camps’, this is because the world of nation states that emerged in the 20th century – and which remains with us today – is a world of fear and paranoia based on mutually exclusive notions of ethnic and national homogeneity and territorial integrity. ‘Security’ in this context breeds suspicion: of fifth columnists, racial and national pollutants and immigrants. Incarceration techniques employed in concentration camps were borrowed in a transnational framework but, more so, they were logical growths wherever the modern state emerged. They aided the state in isolating the unwanted (racial, religious, etc) and controlling the rest of the population through the implied threat of ending up in a camp for not conforming. Concentration camps, with their centralisation of terror, embody the compressed and condensed values of the state when it feels most threatened. We have not seen the last of them. Concentration Camps: A Short History (2017 ) by Dan Stone is published via Oxford University Press.